One of my biggest regrets is that I don’t get to play with glitter nearly as much as I would like to. I LOVE glitter. I know it’s tacky and garish and a total headache to deal with considering the mess it makes BUT once I’ve glittered something I always love it even more than I did before. This is my train. See that big gold nose business on top at the front? That’s where the smoke comes out as it chugs along the track. In some of the reviews they say that it smells like a fire going but Rob and I cannot make any smell, good or bad, at all when this thing is running so it must not happen with every one. Now it does make “real train sounds” which I didn’t pay attention to because I was obsessed with finding a train that would smoke as it chuggachugged down the track. As such this guy doesn’t actually travel around the tree as much as I had figured it would, but it’s so cute just sitting beneath the tree all of time that I’m totally cool with it. 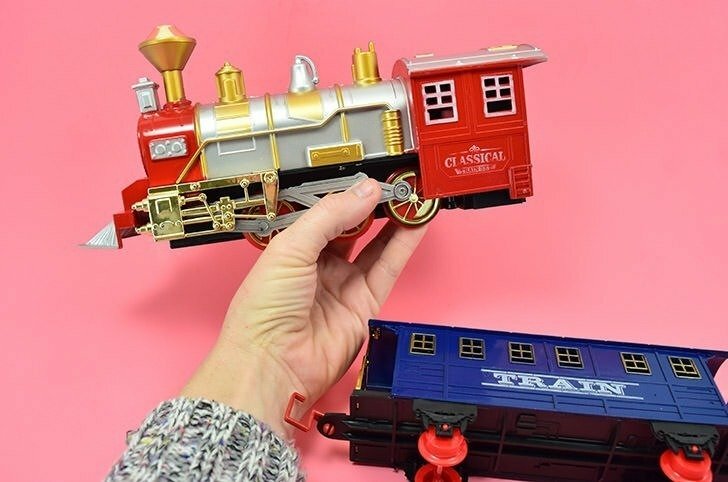 So if you have the time and you already have craft acrylics or chalk paint anyway, I’d say give every part of the train you plan on glittering a quick prime with it. 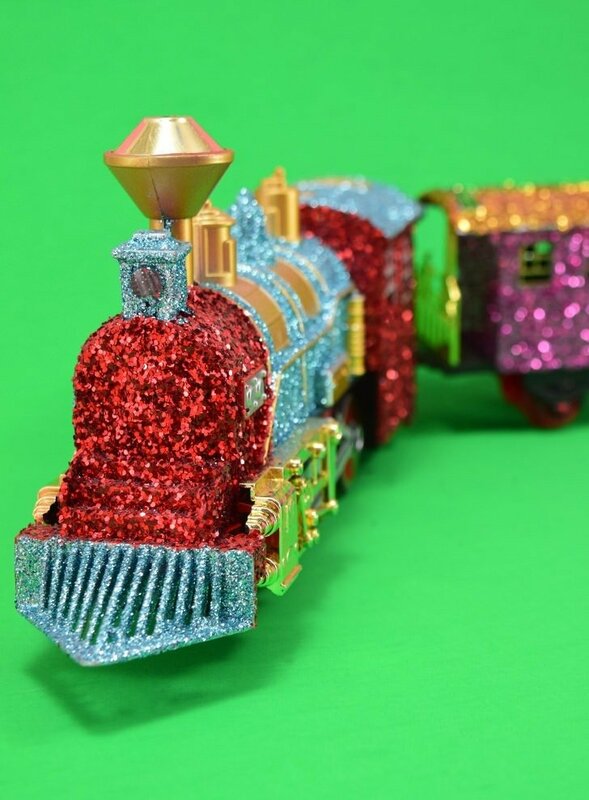 There are parts of the train I would recommend NOT attempting to glitter. On mine anything gold remained gold because that’s already glitzy. Plus some of it is really slick and even maybe metal which wouldn’t hold onto the glitter as well, anyway. 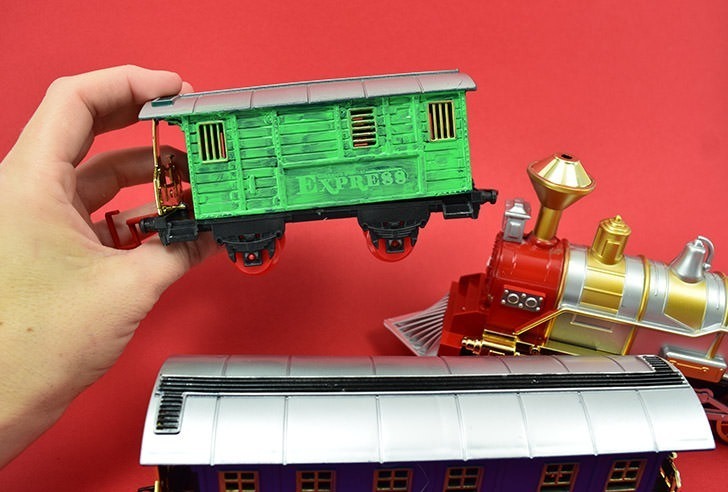 If you get this train that I did, there is also a light on the front that you’ll want to keep from covering so you get that fun feature. Others might have this, too, or even more so that’s a good thing to check before you go nuts with the glitter. 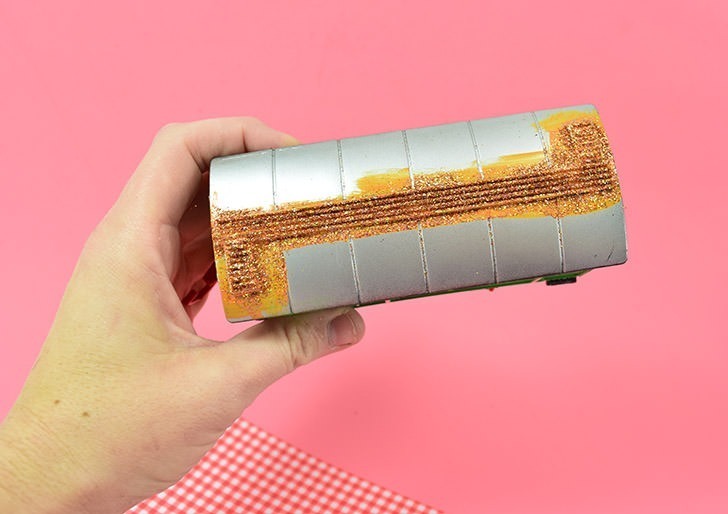 You’ll also want to not get glitter into the working cogs of it all so refrain from covering the wheels and anything that actively moves while it works (test it on the track to be sure). 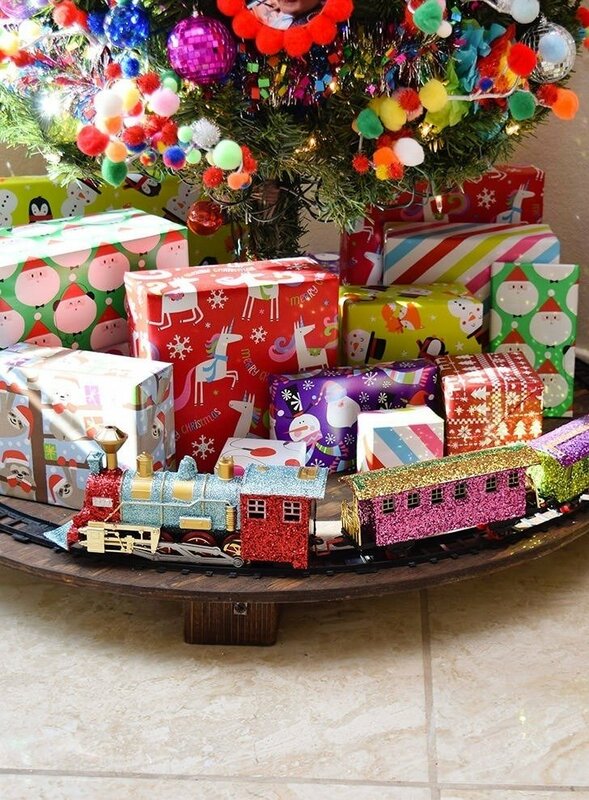 Now isn’t that just seriously adorable circling my presents under my tree? I love it SO MUCH! 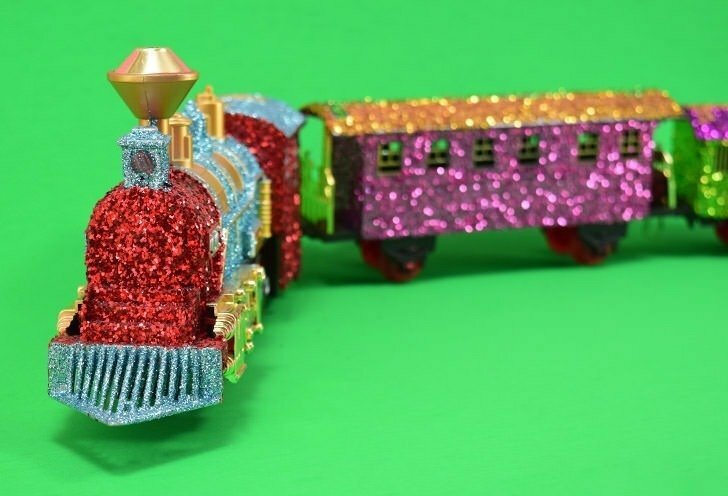 It’s not a difficult project but it’s the first glittered train I’ve ever seen making it a pretty awesomely unique one!